Many people are ready to upgrade their health by choosing better foods and beverages. Drinking soda has a mountain of chemicals and sugar that will take a toll on your body while leaving you dehydrated and thirsty. 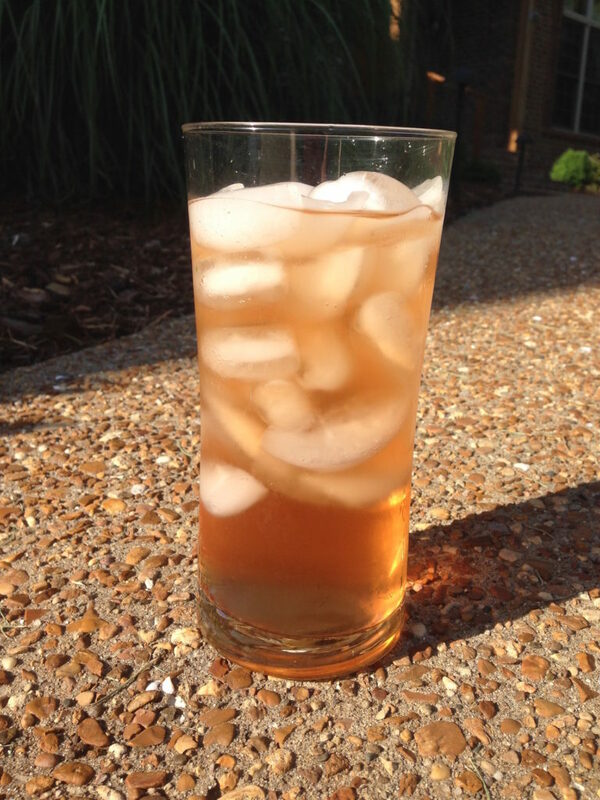 Summer is the perfect time to enjoy a refreshing, healthy beverage. If you are not familiar with making cool drinks for yourself I have plenty of fun ideas for you here. Not only will you find something to suit your palate, but you will find freedom to play around with the ingredients to create new beverages that will be favorites that are sure to quench your thirst, keep your blood sugar stable and even deliver multiple health benefits. While we all appreciate the fact that drinking purified water is affordable and beneficial for health, sometimes we just want a little something special to sip while cooling off from summer’s heat. Scan the photos below and give one or two of the recipes a try. Iced tea is refreshing and depending on the type of tea you choose to brew, it is also an opportunity to support your health and well being. A quick rule of thumb, always opt for organic tea, loose tea or bagged, without artificial flavors, corn starch, soy and sweeteners. 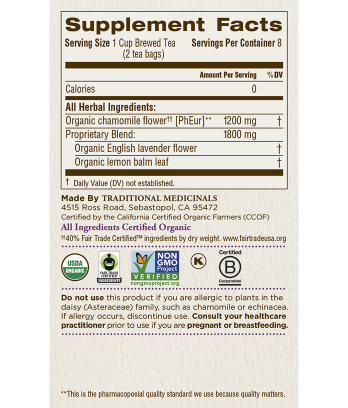 Choosing organic tea will help you avoid pesticides and toxins found in conventional tea brands. Beware of expensive tea shops popping up in shopping malls because their tea may be laden with pesticides and unwanted chemicals. Tea bags make life simpler, perhaps, but may be made of plastic, genetically modified corn or chemical-coated and bleached paper. Opt for trusted brands like Yogi, Traditional Medicinals and Numi Organic Tea. 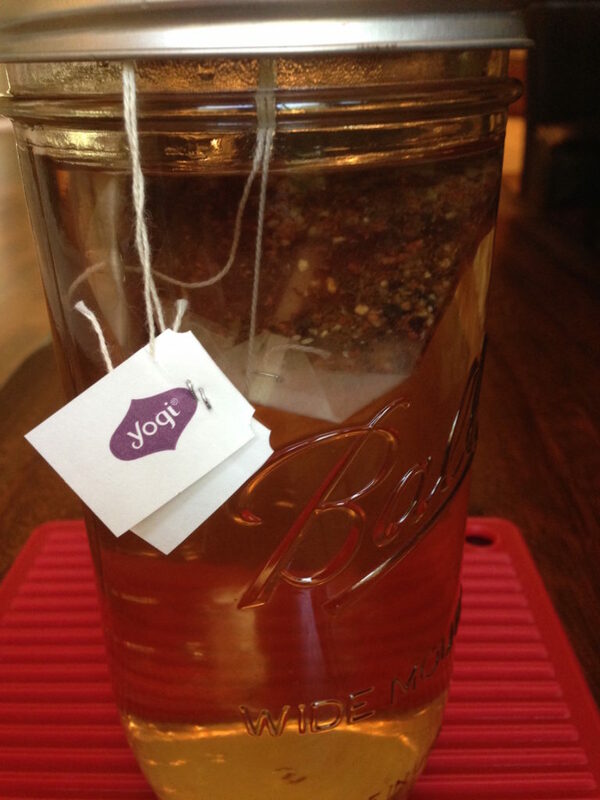 Brew 2 tea bags by adding boiled water to a quart jar. Secure the 2 tea bags under the ring cap. Steep for 15 minutes. 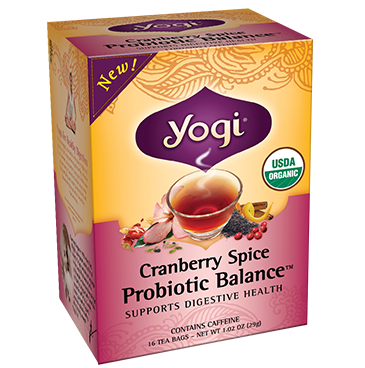 In the summer I enjoy brewing Yogi’s Cranberry Spice Probiotic Balance and serving it over ice. 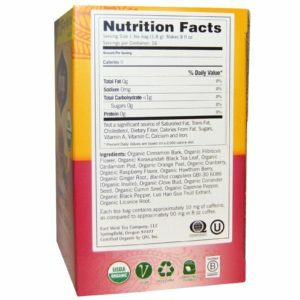 This blend contains flavorful herbs and medium bodied Korakundah Black Tea (about 1/10 of the caffeine found in a cup of coffee). Probiotics – Bacillus coagulans GBI-30 6086, a highly stable and allergen free probiotic strain. This probiotic has a protective shell that allows it to survive through the manufacturing and tea steeping processes, only germinating and growing when reaching the intestines where the conditions are just right. This naturally caffeine-free tea is a delicious trio of gentle herbs with a fragrantly floral and bittersweet taste. 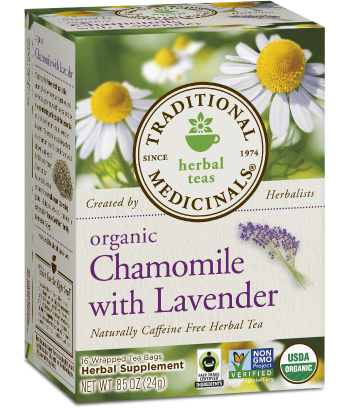 Chamomile and lavender together can settle your nervous system and relax your digestive system. When the stress of the day begins to build, take a well-deserved break and sip on a glass of Chamomile with Lavender Tea. Brew tea bags by pouring boiled water into a quart jar. Secure 2 tea bags under the ring cap and steep 15 minutes. 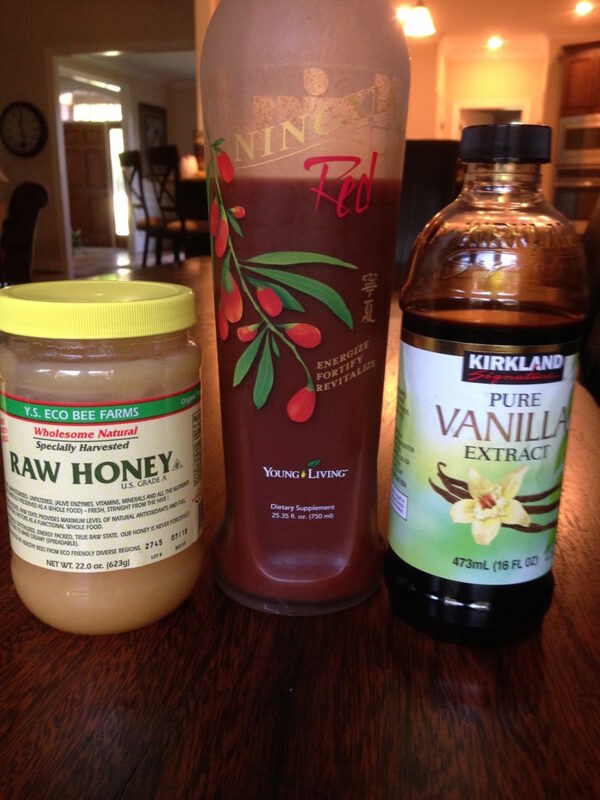 Add 1-3 Tsp of Raw Honey or 10 drops of Liquid Stevia if desired. Another favorite is from Pukka, Rooibos & Honeybush tea. 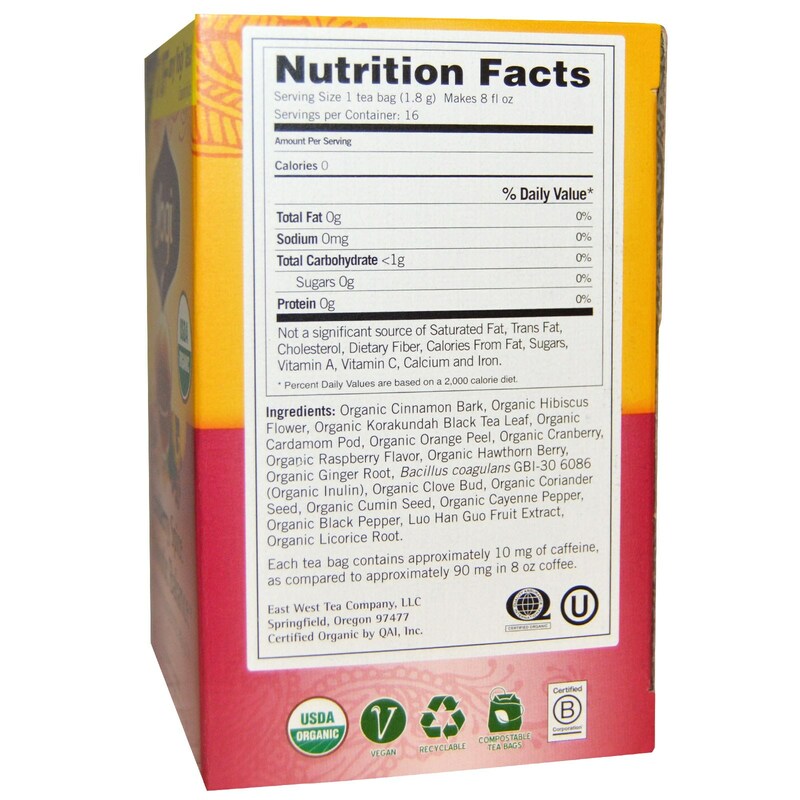 This tea is rich in antioxidants and polyphenols. Caffeine free. 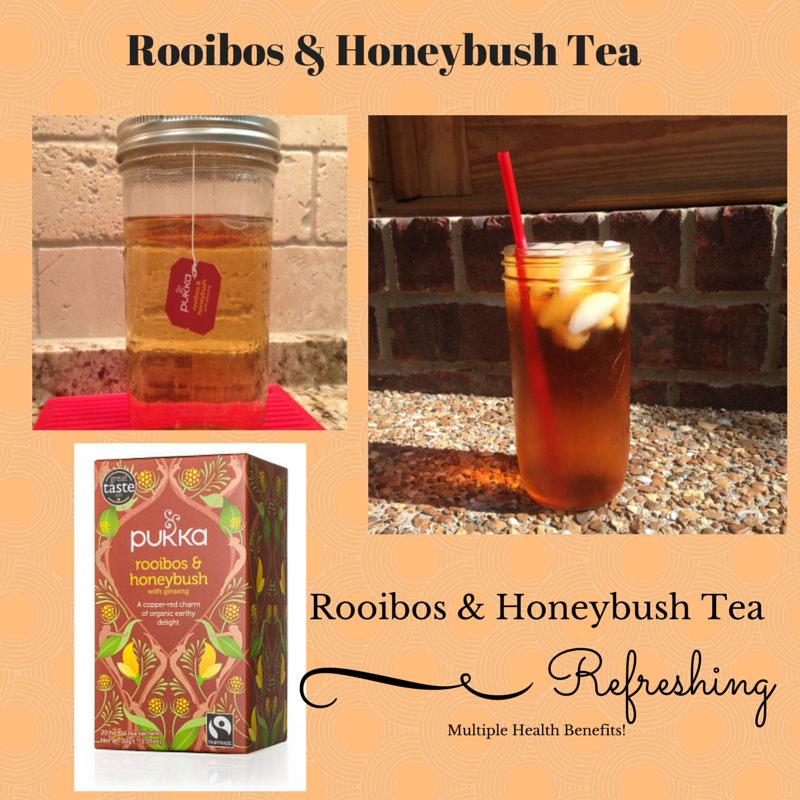 Read more about Rooibos & Honeybush Tea here. 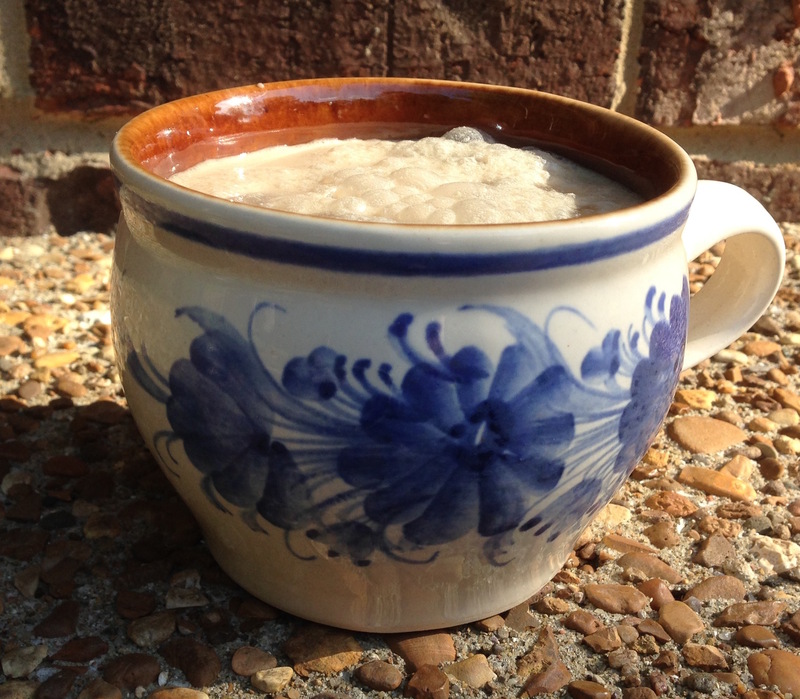 This is a simple, soothing tea with a very light taste. 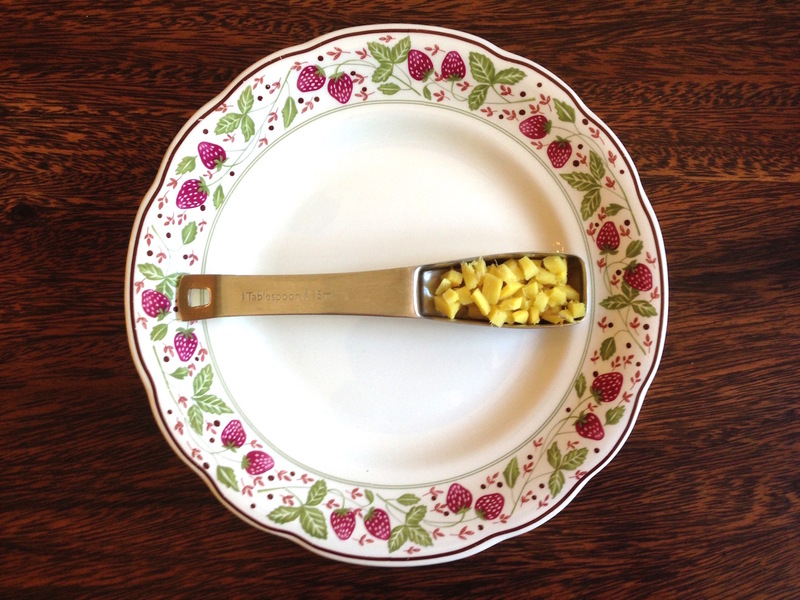 Begin with fresh ginger root. Peel and grate or finely chop. I use about 1 Tbs per 2 cups of boiled water. 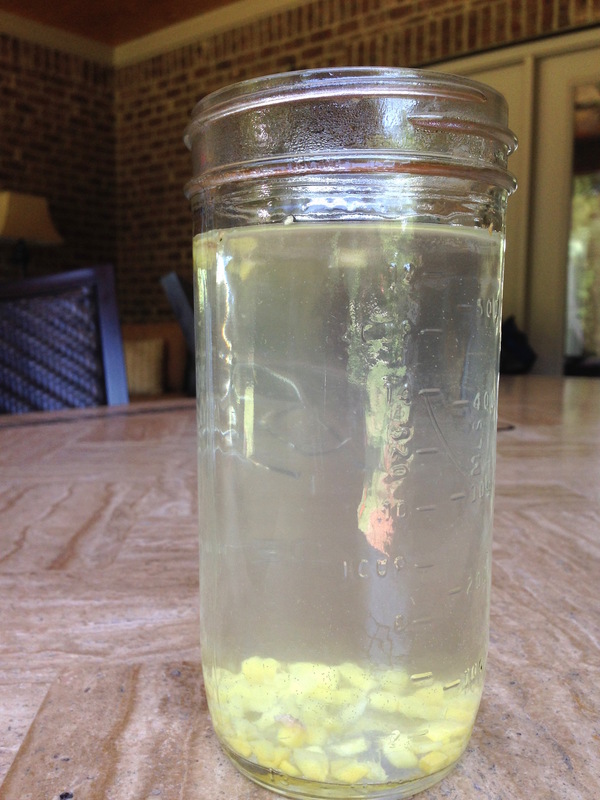 1 Tbs of peeled, finely chopped ginger added to a quart mason jar with 2 cups of boiled water. Steep for 15-30 minutes. Steep the ginger in boiled water for 15 – 30 minutes. Strain out the ginger and add lemon juice or Lemon Vitality Essential Oil. Sweeten, if desired and serve over ice. 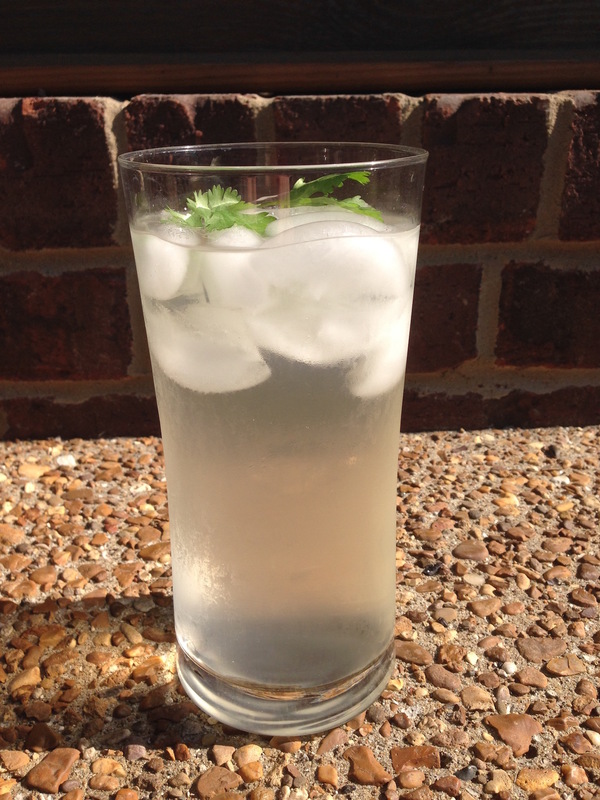 Add the ginger tea with Lemon and sweetener to a blender along with a handful of organic cilantro! 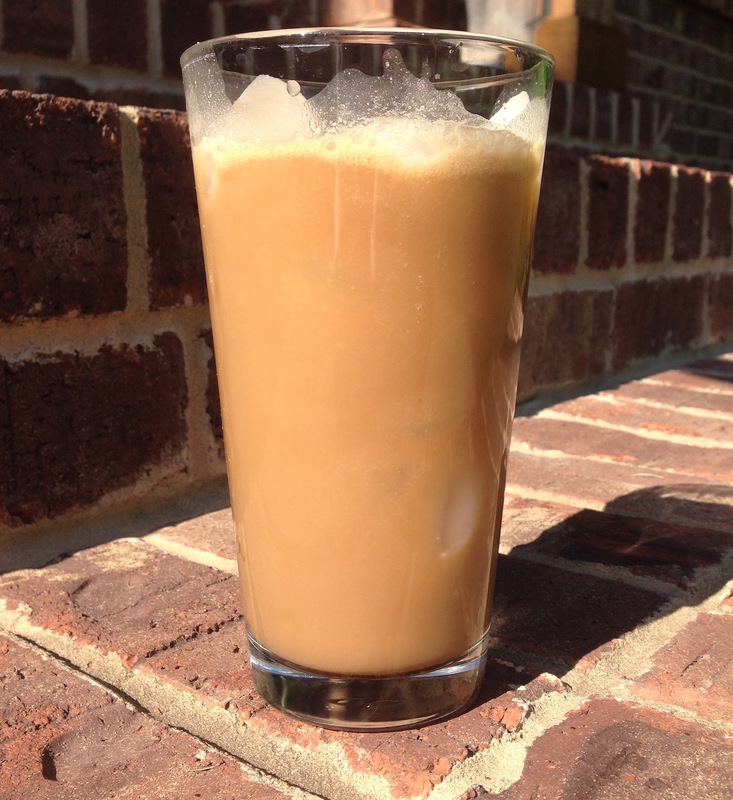 Iced Coffee or caffeine-free Dandy Blend is a delicious alternative to sugary frappuccino blended beverages from the coffee shop (usually made with upwards of 22 tsp of sugar and chemicals). Tip: I freeze canned coconut milk in silicone ice cube trays to use in this recipe and for smoothies. 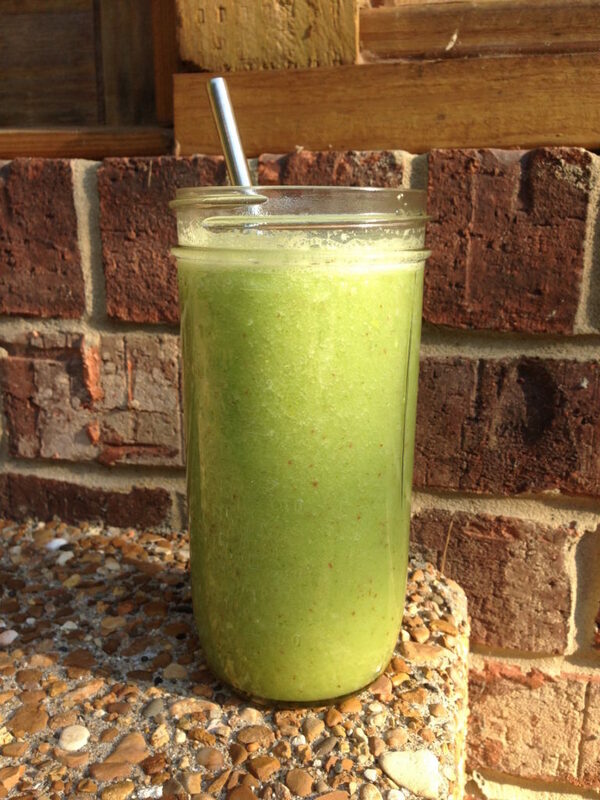 Add ingredients to a blender and serve over ice. 3 Tbs canned coconut milk. 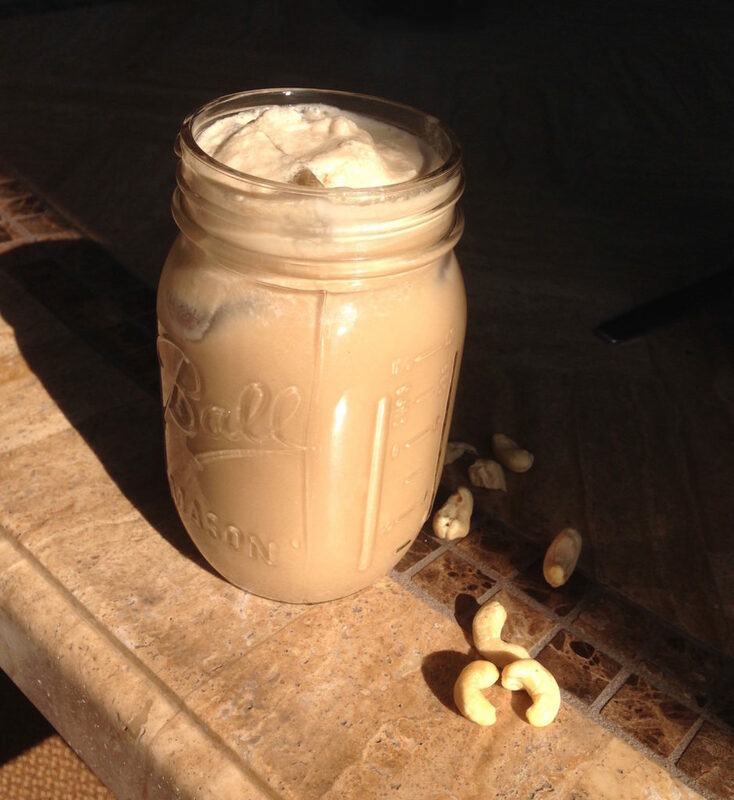 Tip: I freeze canned coconut milk in silicone ice cube trays to use in this recipe and for smoothies. A sparkling spritzer is a nice treat for those who enjoy carbonated beverages and want to stay away from soft drinks. I love sparkling mineral water on occasion. I do not worry about the carbonation being bad for bones and teeth. Unlike soda, which has phosphoric acid and sugar, mineral water has…beneficial minerals! Brands like San Pellegrino, Gerolsteiner, and Perrier in glass bottles are preferable. Opt for plain and add your own fresh lemon or lime juice or use Vitality Essential Oils for more exciting flavors and different health benefits. 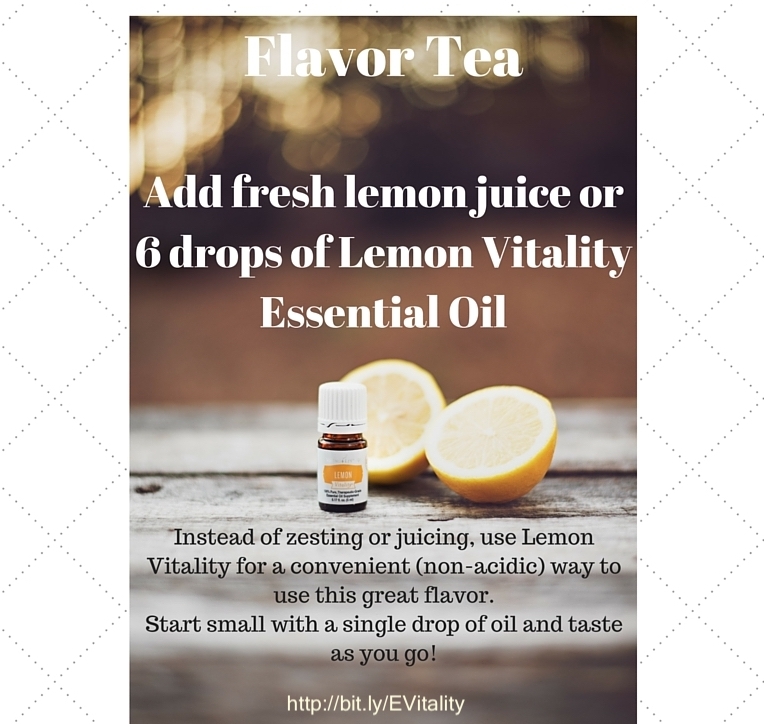 Vitality Dietary Essential Oils are perfect for adding flavor to your favorite beverages. Vitality dietary essential oil line gives you the freedom to share and explore some of their best-loved essential oils in a variety of nutritious and delicious ways. A little experimentation can yield fantastic results. 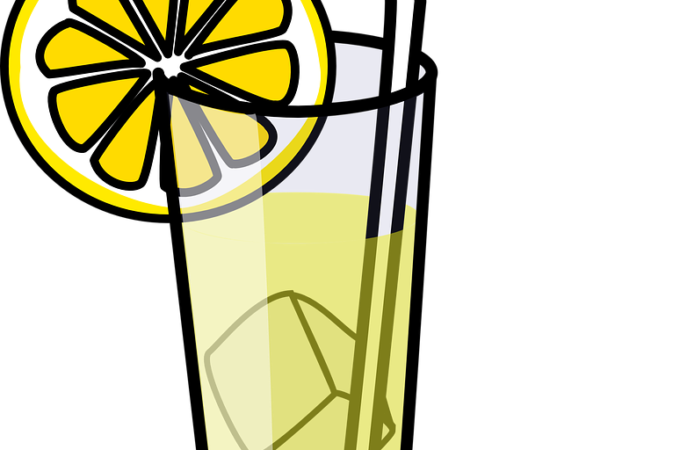 Here are a few simple spritzers for you to try. 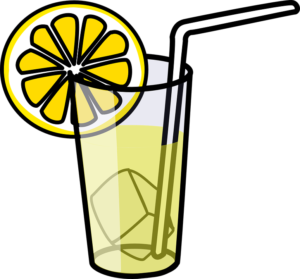 Fresh lemon juice and/or fresh lime juice or Vitality Essential Oils. Vitality Essential Oils are wonderful additions to perk up food and beverages. These are therapeutic grade, and 100% pure. They are labeled according to FDA standards for internal consumption. Essential oils are potent, so start with one drop and taste your beverage before adding more. 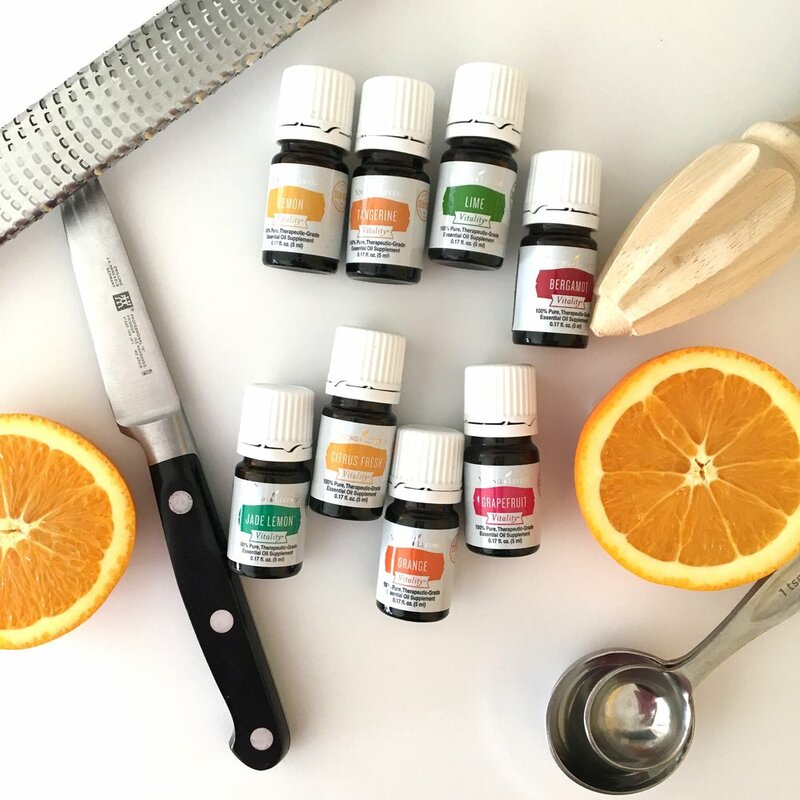 Only use essential oils in glass or stainless steel containers, never plastic since the citrus essential oils do a really good job at breaking down petrochemicals and are thus wonderful detoxifiers for the body. 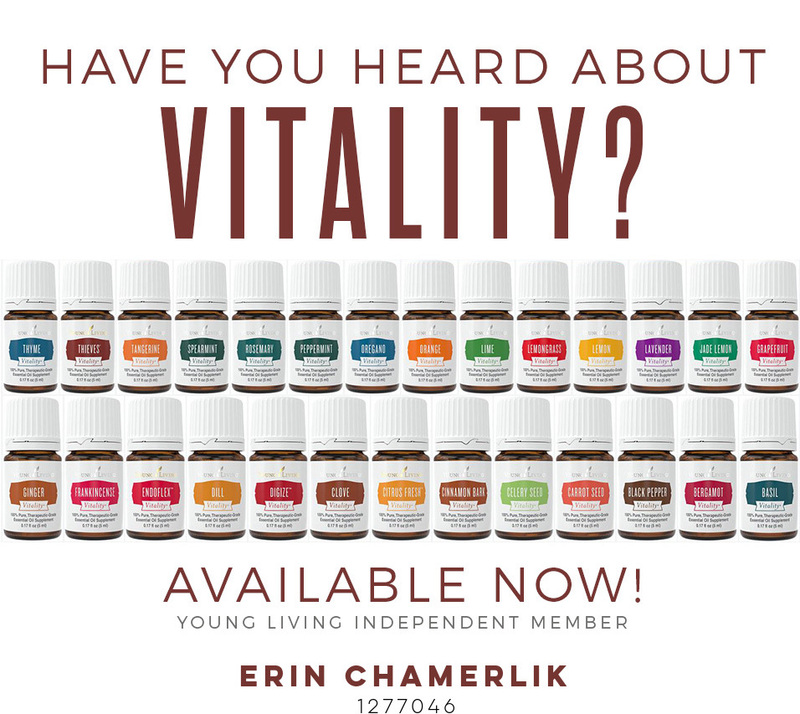 Click HERE for the list of Vitality Essential Oil flavors available. 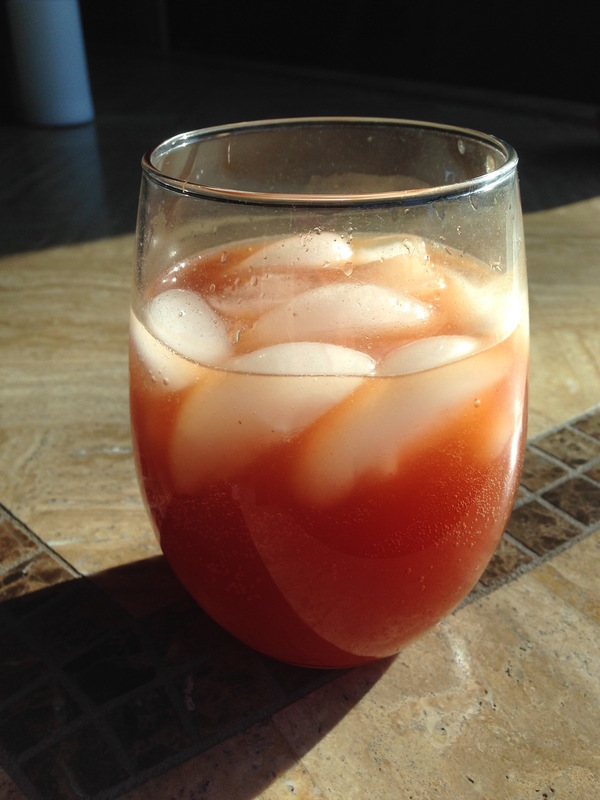 I use NingXia Red to make a delicious spritzer that also delivers unsurpassed health benefits. NingXia Red is a superfood, high in antioxidants. This beverage is typically consumed in 1 or 2 oz portions. It is a puree of the low glycemic wolfberry along with blueberries, plum, cherry, aronia and pomegranates, and several Vitality essential oils. 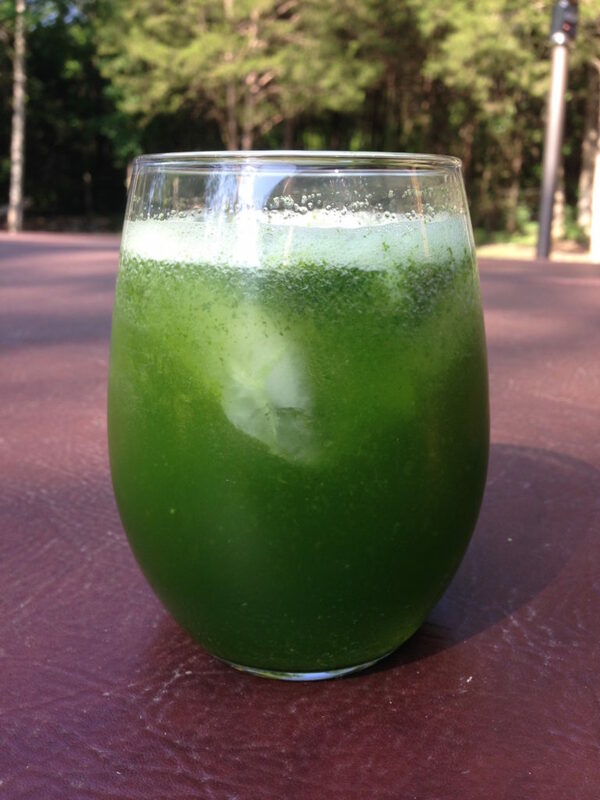 Make a simple blended beverage using cool cucumbers, fresh sprouts and a crunchy apple. Radish sprouts (or other fresh sprouts). 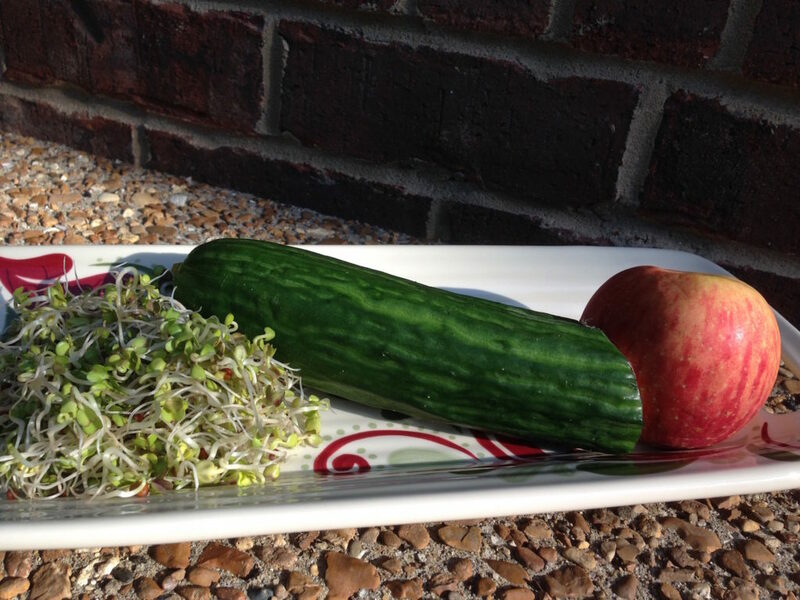 Here’s how I sprout easily at home. Blend* ingredients to liquify and serve over ice. Add Lemon Vitality essential oil or fresh lemon juice if desired. *I have a Vitamix blender. Everything is completely liquified by this powerful blender. Depending on your blender you may need to peel your produce first. Are you feeling too busy to try these recipes? Start simple. Buy a bottle of San Pellegrino sparkling mineral water and two limes. Squeeze the limes into your glass and add the mineral water. Next choose a box of organic herbal tea. 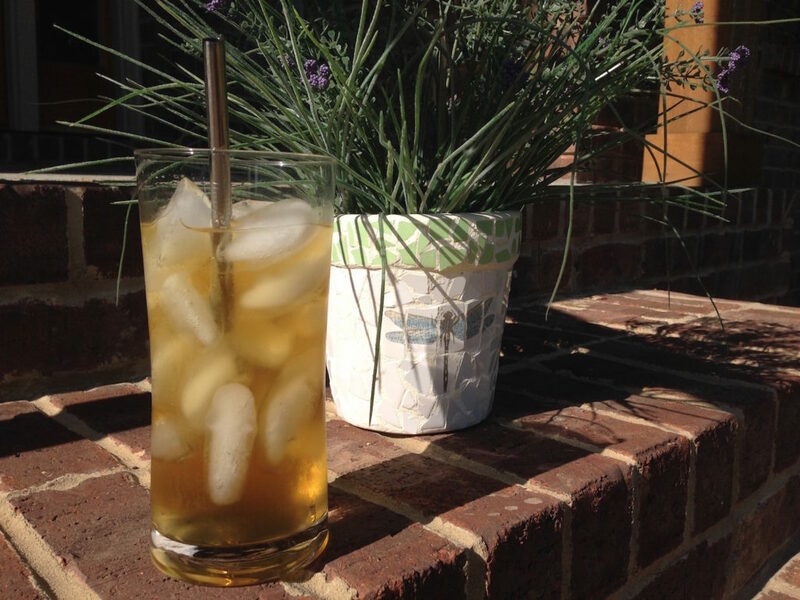 Brew the tea, let it cool and serve over ice. 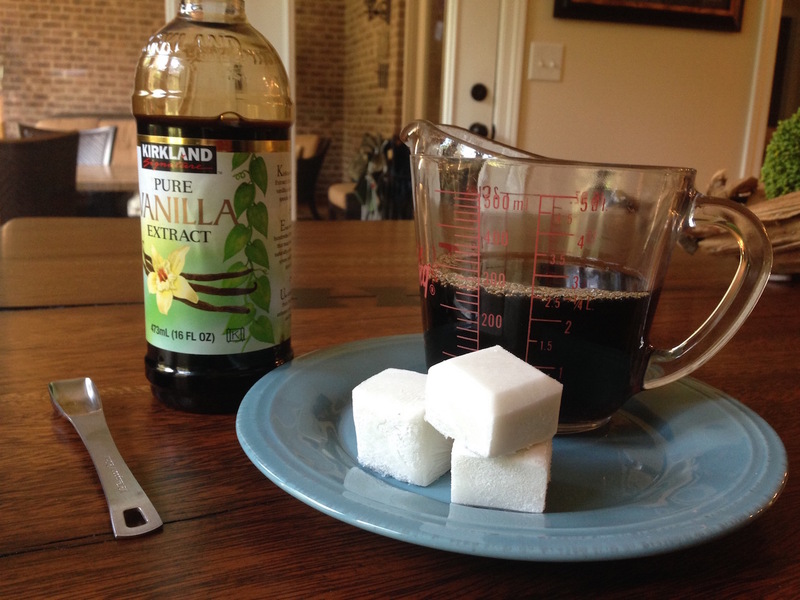 Watch out for drink recipes that use too much sweeteners, even too much raw honey. 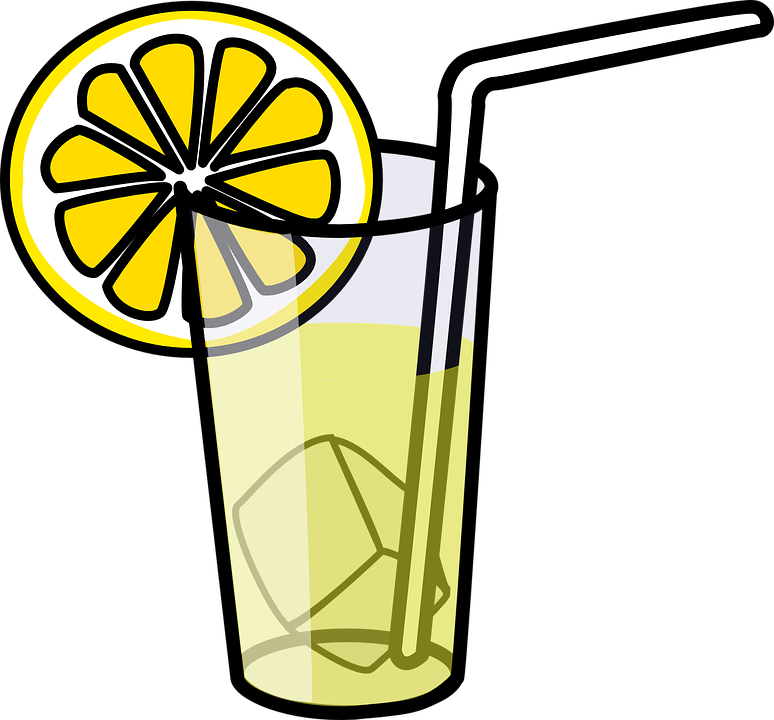 A recipe for lemonade using 4 cups of water and 1 cup of honey is just too much honey, in my opinion. Instead try using stevia drops.